Community radio is really important, and yet so few of our listeners give their financial support to keep it alive. Many stations just like Radio Sausalito are disappearing from the radio dial every year. Don’t let this happen to Radio Sausalito!!! Please donate today to make sure the jazz can continue. 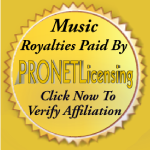 Our music licensing fees were increased by over 400% in 2016. Please help us raise the over $1900 needed for our 2019 music license alone. All you have to do to donate is click the button below. You will be taken to PayPal’s secure site where you can donate by credit card or through your PayPal account. Donations of over $150 qualify for a free ccWiFi internet radio as a thank-you gift. Security Note – Our website and Payal use HTTPS, which denotes that the transaction is secure. After your donation, you will receive an e-mail confirmation and a printable receipt. Or MAIL A CHECK with your donation to: Radio Sausalito Box 397 Sausalito CA, 94966. 100% of every contribution goes directly to Radio Sausalito and keeps community radio filled with music and programs. THANK YOU FOR SUPPORTING COMMUNITY RADIO IN MARIN COUNTY!